REGISTRATION IS OPEN for the 2019 Michigan Family Medicine Conference & Expo—the premier annual event for Family Physicians in Michigan—at Shanty Creek Resort in Bellaire. You can look forward to a robust line-up of CME sessions (earn up to 37 CME credits), connecting with colleagues outside the classroom, and opportunities to enjoy local attractions that this beautiful summer travel destination has to offer. Register by June 24 to save! Hotel reservations open in December 2018. Conference registration opens in March 2019. Take a one-day break from residency on Friday, May 10 to explore the multitude of practice options the specialty offers and get tips for acing a Family Physician interview, understanding the employment contract, and making sound financial planning decisions. PLUS, practices and health systems are invited to connect with potential new physician candidates. Save when you register for Beyond Clinical & Curriculum by March 29! To combat the opioid epidemic, the state of Michigan is taking action through new state laws that emerged out of the Governor’s task force recommendations, and regulatory reforms through the Michigan Department of Licensing and Regulatory Affairs and Michigan Department of Health and Human Services. Click here for the most up-to-date information Family Physicians need to know. Family Physicians are doctors who practice the specialty of Family Medicine. They provide preventive, comprehensive, coordinated, chronic and ongoing care. They also go beyond medical care to connect patients with local resources and services that can positively impact health. Click here to download a handout that explains more about how having a Family Physician is good for YOUR health. MAFP, Family Medicine Foundation of Michigan, and Family Medicine PAC engagement and leadership opportunities await you in 2019! Whether you are a practicing Family Physician, Family Medicine Resident, or Medical Student member, there's a place for you. Explore your options and mark the application deadlines on your calendar. Michigan Academy of Family Physicians (MAFP) is the state’s largest specialty physician association. 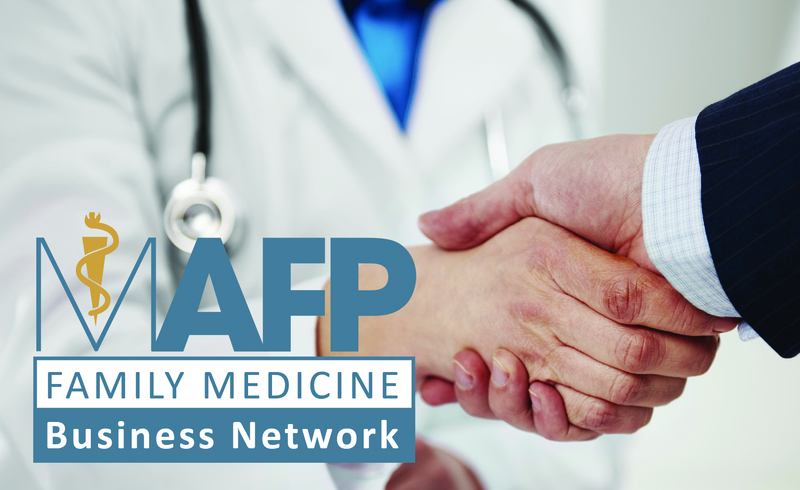 With more than 4,200 members, MAFP is dedicated to assisting Family Physicians and their practices as they work to ensure high-quality, cost-effective healthcare for patients of all ages. Michigan Department of Health and Human Services announced that, as of April 17, the number of confirmed measles cases now stands at 43. The outbreak, which began with the first confirmed case on March 13, includes cases in Oakland County, Wayne County, and the City of Detroit. Possible exposure locations now include Kent and Ingham counties. MDHHS continues to work closely with county health departments to identify additional possible exposure locations. A delegation of Michigan Family Physicians and Academy staff are heading to Kansas City, MO, to represent MAFP at the 2019 National Conference of Constituency Leaders and Annual Chapter Leader Forum, April 25-27. Hosted annually by American Academy of Family Physicians, NCCL is the premier policy and leadership development event for underrepresented constituencies of the Academy. The concurrent ACLF provides an opportunity to build and refine leadership skills, discover solutions for chapter challenges, strengthen relationships with other chapter leaders and staff, and share best practices with peers. Focused on Family Medicine Foundation of Michigan’s mission to advance the specialty through, in part, increasing resident and student interest in Family Medicine, MAFP staff regularly visit residency programs and Family Medicine Interest Groups at medical schools across the state to talk about the rewards a career in Family Medicine bring and how the Academy supports residents and students in their journey to becoming Family Physicians. To get the latest scoop on MAFP, the members of the Academy, and Family Medicine in Michigan, check out the latest issue of Michigan Family Physician, view a past issue of our weekly eNews Family Medicine Update, or follow-us on Facebook and Twitter! MAFP's Online Groups If you are a MAFP member who serves on a Board, Committee, or Task Force, click here to access your group's communication portal.